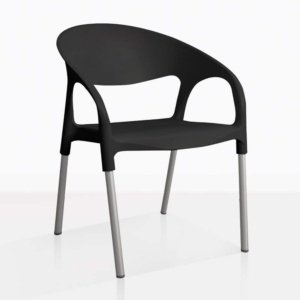 This dramatic, yet simple café dining chair has a lovely design and is made with premium materials to ensure durability. 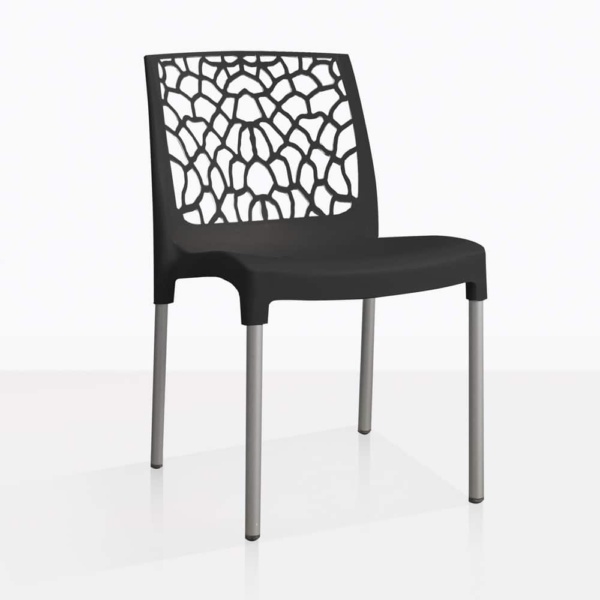 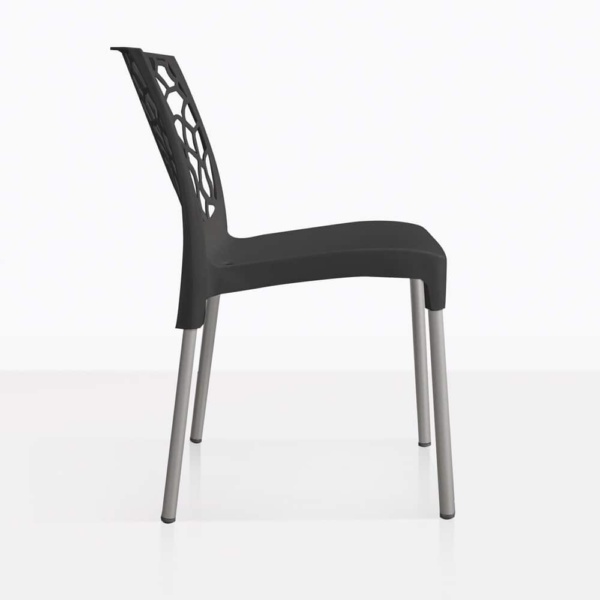 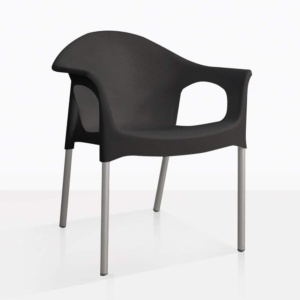 The Suzi Café Dining Chair in black is lightweight and slim, yet very comfortable. 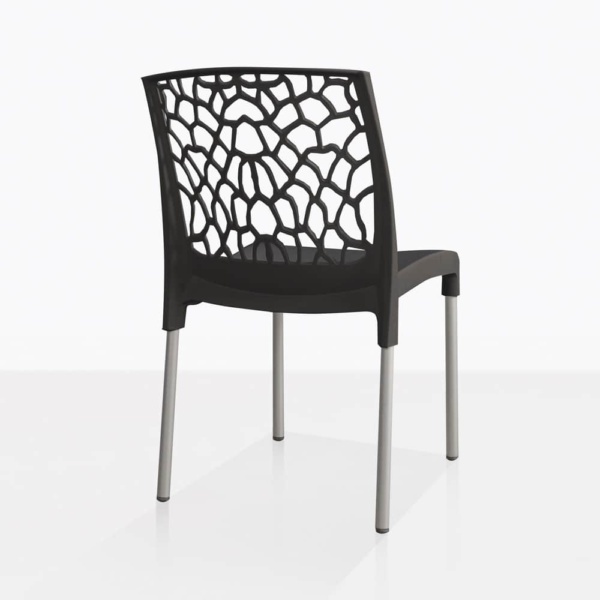 It has a contemporary vibe that will go well in personal outdoor spaces or commercial. The Suzi Café Dining Chair pairs very well with many of our a-grade teak and raw concrete dining tables. 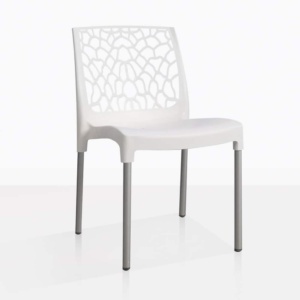 Create a small intimate dining set for 2 or a grand dining set for 12 with this perfect little café dining chair. Visit our showroom and create the dining set of your dreams!